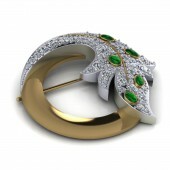 About Maria Anwar : Maria is a talented designer from Pakistan with an expertise in jewellery design. Her designs are aesthetically modern as she infuses her love for sculpting shapes and forms with jewellery designs to create exceptional pieces. Press Members: Request an exclusive interview with Maria Anwar.